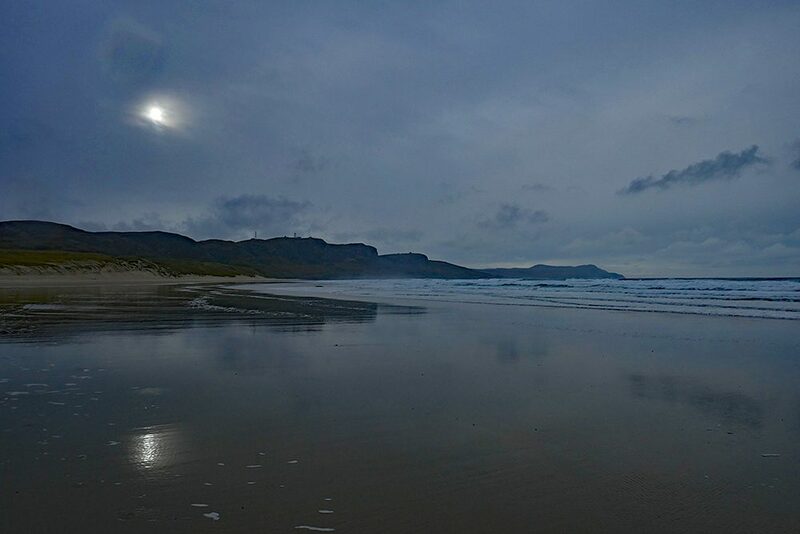 An overcast November morning on the west coast of Islay, clouds hanging over Kilchoman beach in Machir Bay. Suddenly the Sun briefly burst through the clouds, reflecting on the wet beach. Half an hour later some beautiful bright sunshine with blue sky had developed.